Q: I FOUND A CAT OR KITTEN. WHAT DO I DO? A: During "kitten season" (February through October), Planned Pethood can receive as many as 100 calls and e-mails each week to take in cats and kittens. So when you call, it might be a little while until we can return your call. Please remember, we are volunteers and we try to help as many cats and kittens as we can. Please know we want to help you! If you found a cat or litter of kittens, contact our FIXX line at (419) 826-FIXX (3499) and leave a message on the appropriate mailbox. We will try to help you. If we cannot help, there are many local organizations that might be able to. Unfortunately, they are as crowded as we are. The Toledo Humane Society may also be able to help you. They too are usually overcrowded with cats and kittens. If you surrender an animal to ANY rescue group, please make sure you inquire with any rescue group/humane society what might happen long-term if your cat/kittens do not get adopted. The ultimate solution is spaying and neutering, even the stray you found, so they cannot produce more animals to suffer needlessly. You can also post on the Toledo Area Lost and Found Facebook page, K-100's web site and Craigslist. Q: I HAVE TO GET RID OF MY CAT! A: We hear this statement over and over again. We do want to help, if we can. There are also 72,000 free roaming cats and kittens in Lucas County that need us. The best advice we can tell you is to please do whatever you can to keep your cat. Can a friend or family member take it in? If you are having behavior issues, we can offer the advice you need to hopefully correct the issue. Many times, just spaying or neutering will help with MANY behavior problems, like suddenly marking furniture. Call our FIXX line with your surrender questions at (419) 826-FIXX (3499). Q: I WANT TO ADOPT A CAT I SEE ON YOUR WEBSITE. WHAT DO I DO NEXT? 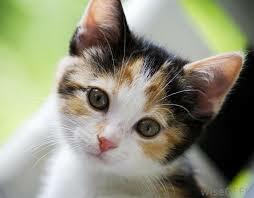 A: On our Available Cats page, you will find pictures of most of our cats and kittens that are available for adoption. You can immediately fill out an online adoption application. The foster will get back to you to discuss whether your home might be the right fit for that particular cat/kitten. We suggest this as your first step towards adoption. You can also go to one of our many adoption events. See our Cat Adoption Event Schedule. In addition, you can contact the foster by phone or e-mail. Phone numbers, and sometimes, e-mail addresses are within each cat's online listing. Fill out the online application, then call or e-mail the foster. Remember, several of our cats and kittens can be seen anytime at the PetSmart in the Spring Meadows Plaza on Airport Highway and at the petco on Washtenaw Avenue-Arborland in Ann Arbor, MI. Q: IS THERE A DISCOUNT FOR ADOPTING TWO CATS OR KITTENS? A: Yes! 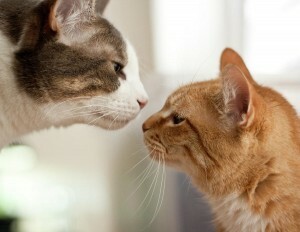 If you adopt two adult cats, you can save $10! We do offer a discount for senior citizens when they adopt an older cat. Ask our cat coordinator for details. You can call her at (419) 250-7925. Q: WHAT'S WRONG WITH GIVING KITTENS AWAY FOR FREE IN THE NEWSPAPER OR IN POSTINGS? A: Everything! If your cat had kittens and you can't find help from a rescue group because they are full, what is wrong with giving them away free by placing an ad in the paper or posting flyers? Responsible people are more than willing to pay to adopt a cat or kitten from a reputable rescue group, particularly one that spays/neuters prior to adoption. These are the type of people you want providing loving homes for your cats/kittens. We are often told "it's got to be a good home if there are children involved', but that's not always the case. These so called "free kittens" are usually the ones that are eventually kicked to the curb as they are not spayed/neutered and usually have behavior problems as a result. Q: I NEED TO RETURN MY PLANNED PETHOOD CAT. WHAT DO I DO NOW? A: Taking your adoption as a serious commitment and understanding that a cat's life could be into their mid 20's could be the first step in keeping your cat long-term. We understand that things happen and there may come a time where you might have to find another home for your Planned Pethood cat. Serious illnesses, terrible financial hardships and more can sometimes make it impossible to keep your animals. If you are having behavioral issues, don't wait until you're pulling your hair out! Contact us now, before you even get near the point of returning. 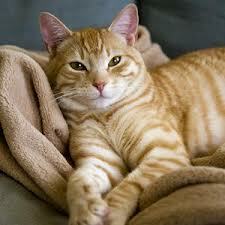 We'll be glad to try and help you with whatever change has taken place in your cat's behavior. Please call our FIXX line at (419) 826-FIXX (3499). We will need the original name of the cat, as well as the original/current vet records. Please note, when you adopt a cat or kitten from Planned Pethood, you have signed a contract that the animal must be returned to us to help place them into another home. Q: WHY IN THE WORLD DO I NEED TO SPAY MY INDOOR CAT? A: We have seen it happen time and time again. Cats that are in heat will do ANYTHING to get out of the home. That means trying to slip by you at the door and ripping screens out of the windows during warm months. (They are crafty - don't think it won't happen to you!) Spaying/neutering is the only way to solve this. So many people call us and say, "my indoor cat got out by accident and is now pregnant. Help me!" They are the lucky ones. Usually, once the cat gets out, they don't come back...only to be hit by a car or lost for good. 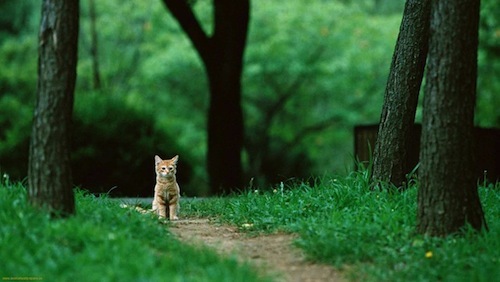 Cats cannot take care of themselves and IF they survive, they become just another free-roaming cat, getting pregnant over and over and over again. Also, spaying your cat greatly reduces cancers, including breast cancer and Pyometra in females and testicular cancer in males. Do what's right - Spay or neuter your cat now! Q: I'M PREGNANT AND HAVE TO GET RID OF MY CAT...DON'T I? A: NO! That's an old wives tale. 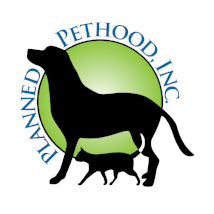 What is true is that pregnant women need to take precautions when taking care of their cat during their pregnancy. You should either wear gloves while cleaning/touching the litter box or just have another family member take care of it during your pregnancy. Also, something we hear all the time is that the cat will lay on the new baby and might hurt or suffocate it. That is not the case and you don't have to worry about that. Babies grow up around cats all the time. Don't trade out your cat baby for a human baby. Be smart, take precautions and all will be a-ok. You'll have a happy baby and happy cat. Q: I CAN'T KEEP MY CAT. CAN I JUST LEAVE IT IN THE WOODS TO TAKE CARE OF ITSELF? A: Imagine putting a puppy, a human baby or a child in the woods to fend for themselves. A cat or kitten is just the same. This statement couldn't be further from the truth. By the time Planned Pethood rescues some of these "kicked to the curb" cats, they are sick, emaciated or injured. We have to spend thousands of dollars repairing broken limbs, removing terribly infected eyes and other medical treatment. Also, most of these cats just end up freezing and dying during the colder months. They could also be hit by cars or end up being food for birds of prey and coyotes. Q: DO YOU ADOPT TO US "OUT-OF-TOWNERS"? Q: DO YOU HOLD CATS? A: No,...sorry. It clogs up foster space and prevents us from being able to save more lives. Q: ...EVEN IF I PAY FOR IT TO BE BOARDED UNTIL I CAN TAKE IT? A: No,...sorry again. We truly believe these cats have been through enough and we don't want to have them put back into yet another cage...waiting.